When Spanish captains Bodega and Heceta visited Trinidad in June of 1775 (and named it thus because it was Trinity Sunday), they noted and described a large, permanent village of sturdily constructed wooden houses. 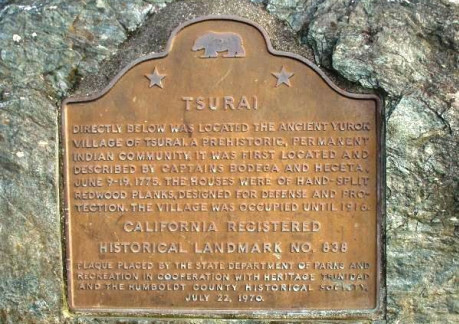 This was the Yurok village of Tsurai (pronounced chair-eye), which had seen 1,000 years of continuous use and was in fact lived in until 1916, making it one of the very last original Native American communities on the Redwood Coast to be occupied. 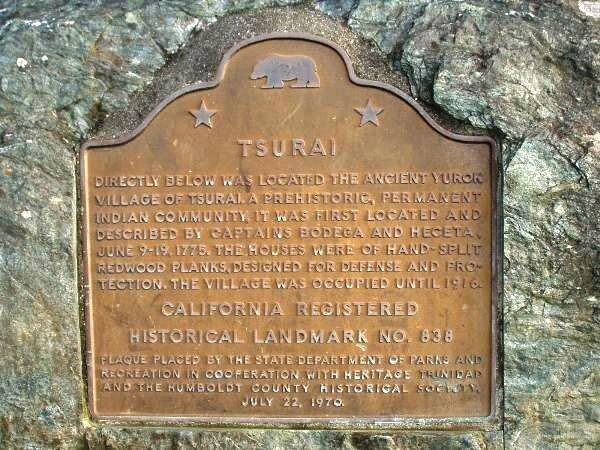 This was near the southern boundary of the Yurok people's territory, which ran northward along the coast to Wilson Creek in Del Norte County, as well as 36 miles up the Klamath River. One of the most unusual aspects of Yurok culture was the permanence of their habitation made possible by the incredible natural bounty of the Redwood Coast, particularly the abundant salmon and shellfish. 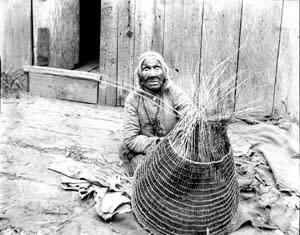 The private, family rights to home sites and fishing sites made possible by this fixed lifestyle was almost unheard of among Native American peoples. A final note—the descendents of the Tsurai villagers don't call this location Indian Beach. To them, it's Old Home Beach.